In May, New York City Mayor Michael Bloomberg proposed a ban on the sale of sugar-sweetened beverages larger than 16 oz. in what he illogically believes to be a solution to reducing obesity. The public's national outrage was immediate. In fact, the New York Times editorial page captured such sentiment: "The administration should be focusing its energies on programs that educate and encourage people to make sound choices … too much nannying with a ban might well cause people to tune out." In the wake of the proposed ban, broad-based coalitions of New Yorkers opposed to heavy hand of government, such as New Yorkers for Beverage Choices, also have taken a stand. Since Mayor Bloomberg's announcement (just one day before his mayoral proclamation of National Donut Day – a more than 200-calorie treat), national polls have found the majority of New Yorkers – and Americans – oppose banning the sale of soft drinks larger than 16 oz. A Rasmussen Reports poll showed a 65 percent opposition among Americans; IBOPE Inteligencia poll showed 72 percent of Americans opposed. The message is clear: New Yorkers and Americans across the country don't want government – or Mayor Bloomberg -- telling them what to eat or drink. They are smart enough to make their own decisions. Additionally, this city-wide ban, which will impact retail venues such as bodegas, quick service restaurants, movie theaters and sporting event and concert venues, will do nothing to truly address New York's obesity challenge, especially as the campaign behind the proposal places 100 percent of the blame on 7 percent of the calories in the average American's diet. The non-alcoholic beverage industry agrees that obesity is a serious issue facing New York, as well as our nation. But it is a complex problem that requires a number of solutions. Our industry has stepped up, on its own and with key stakeholders, to be part of meaningful, comprehensive approaches, rather than soundbite solutions such as taxes and bans. By nearly every measure, the contribution of calories from beverages to the diet is declining, yet obesity is still rising. Since 1998, the average calories per serving from beverages is down 23 percent due to more low- and zero-calorie beverages. Added sugar consumed from soda is down 39 percent since 2000, according to the Centers for Disease Control and Prevention. Sugar-sweetened beverages – such as soda, ready-to-drink teas, sport drinks, juice drinks and flavored waters – account for only 7 percent of calories in the average American's diet, according to government data. With 93 percent of our calories coming from other foods and beverages, meaningful steps to reduce obesity need to look at the bigger picture. From 1999 to2010, full-calorie soda sales have declined by 12.5 percent. Yet over the same time period, obesity continued to rise. The facts are clear – soda is not driving obesity. Susan Neely is president and chief executive officer of the American Beverage Association (ameribev.org), the trade association representing companies that manufacture and distribute non-alcoholic beverages in the U.S. If lawmakers truly want to address obesity in their communities, they must do the hard work of bringing people together to work on comprehensive solutions that will have a lasting and meaningful impact on this public health challenge. President Clinton and his Alliance for a Healthier Generation are one such example of working with the food and beverage industry. While New York City removed full-calorie sodas from schools across the five boroughs, the beverage industry did it across the country with its national School Beverage Guidelines by teaming with the William J. Clinton Foundation and the American Heart Assn. Through the guidelines, beverage calories in schools were slashed by a dramatic 88 percent nationwide since 2004. First Lady Michelle Obama, too, is a shining example of bringing the public and private sectors together for the greater good. Announced in support of the First Lady's "Let's Move!" campaign to end obesity in a generation, our Clear on Calories initiative places calorie labels on the front of every bottle, can and pack we produce, giving consumers calorie information right at their fingertips so they can choose the beverage that is best for them and their families. 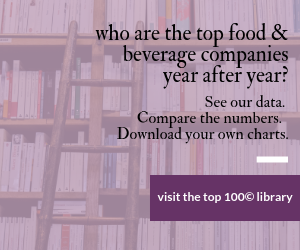 And our industry continues to meet consumer demand, constantly innovating to deliver an ever-increasing number of low- and no-calorie choices, in a wide range of portion sizes across a variety of products. In New York and nationwide, we're proud to be part of meaningful solutions that will have a real and lasting impact on the societal issue of obesity – an impact that goes well beyond the short-sighted nature of bans and restrictions.